Prohibition Agent Charles Bintliff, Deputy Sheriff Charles Halpin and other officers went to a farm seven miles east of Redfield, SD, to arrest Walter Chrisman. Unknown to the officers, Chrisman was hiding inside a barn. In an ambush, he shot and killed both Agent Bintliff and Deputy Sheriff Halpin. Chrisman escaped to a neighboring farm, but committed suicide as a posse surrounded him. One week prior, Chrisman had shot and wounded Prohibition Agent R. W. Labrie during an attempted arrest for selling liquor. As a result, Agent Labrie's left arm was amputated. 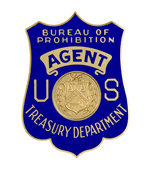 Agent Bintliff joined the Prohibition Unit on March 8, 1920, with an annual salary of $1,500 per year. He was assigned to offices at Omaha, NE, and Sioux Falls, SD. Agent Bintliff served as an officer in the United States Marine Corps during World War I. 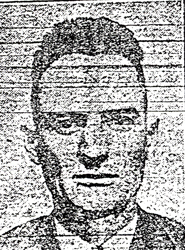 Agent Bintliff was born in 1891, in New York. He was survived by his wife.